Nothing works better than chainmail for achieving the look of a medieval knight, ready for battle. The Riveted Dark Aluminum Chainmail Coif offers a light weight option for LARP events or historical festivals. 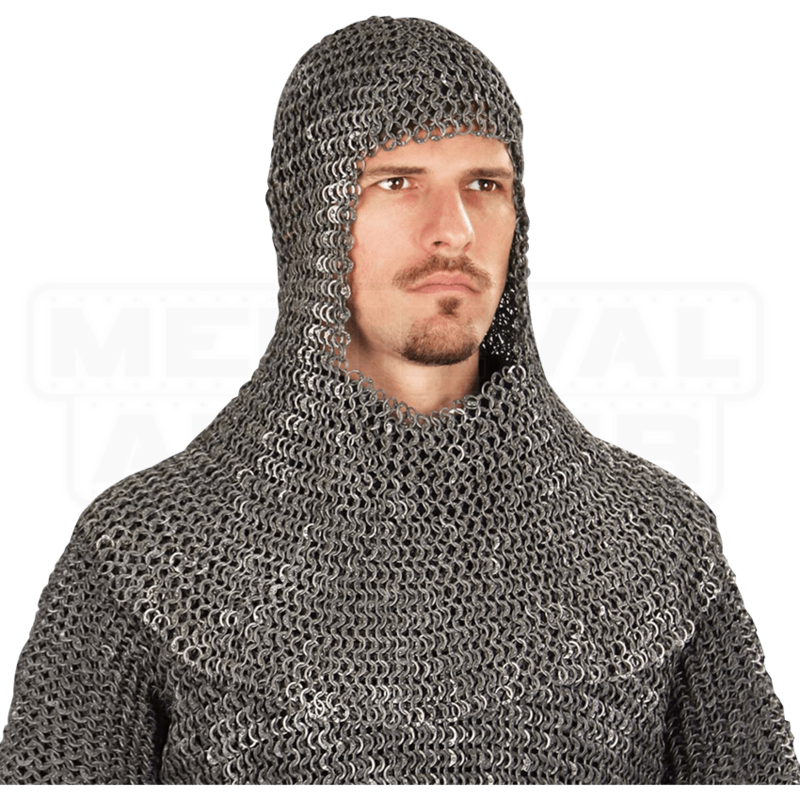 This medieval chainmail has a realistic look that is perfect when you need authenticity but not battle protection. The aluminum links of this chainmail have been flattened, riveted shut, and then chemically darkened, giving this piece a fantastic look. The medieval coif can be worn with or without a helmet. It is recommended that you keep this mail oiled at all times. 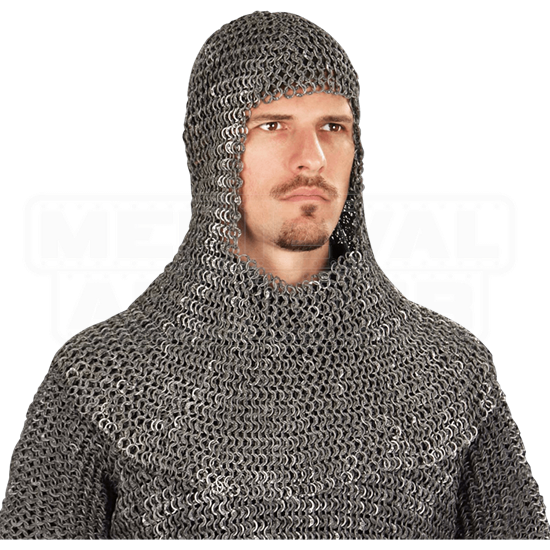 Consider wearing this coif with the Riveted Dark Aluminum Chainmail Shirt (300477) and other pieces of our fine mail.